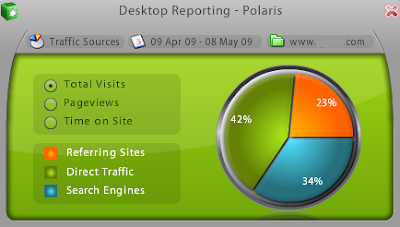 Polaris is a cross-platform Google Analytics desktop widget with Adobe Air. 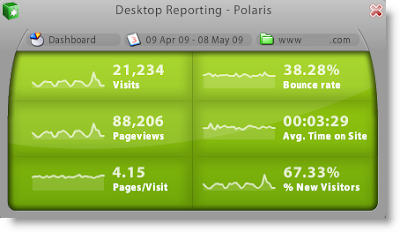 With Polaris, you have easy access to your Dashboard, Map Overlay, Top Content, and more. 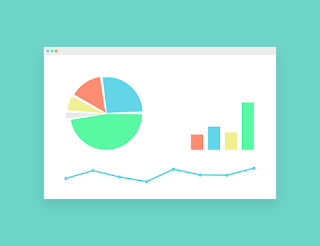 With 8 simple reports, the interface is easy to use and puts data right on your desktop whether using Windows, a Mac, or Linux (Fedora 8, Ubuntu 7.10, openSUSE 10.3). A single-site version is free while the full multi-site version is only $15 annually. 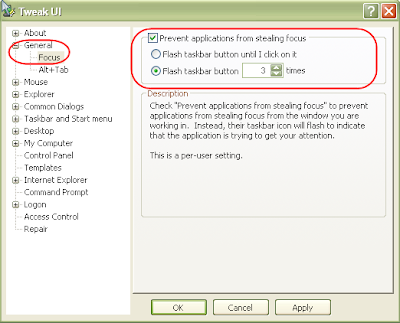 This is just the first of 4 announced products coming from a new company, Desktop Reporting.